To promote the local tourism, Daying, a county in Sichuan province, is building a life-size replica of the RMS Titanic with an investment of 1 billion yuan ($145 million). This was revealed on a ceremony on 30th, November, 2016. The unique and luxury Titanic sank in 1912 after hitting an iceberg. Over two-thirds of the 2,224 passengers drowned because of a shortage of lifeboats. 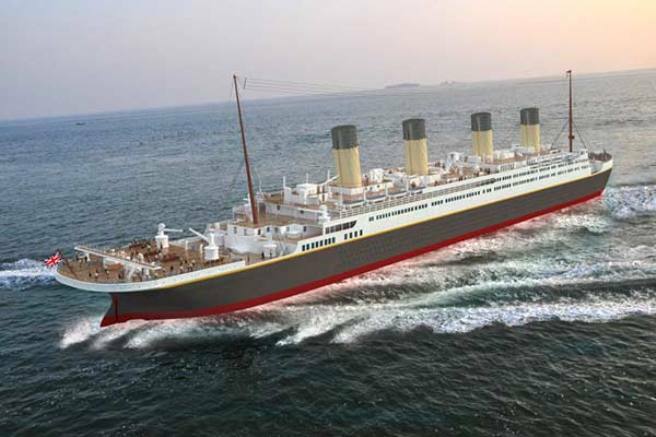 Now, the Titanic will reappear in the same shape in front of us. Since 2014, the GC High-Tech, a part of America Hollywood Television and Film Media which was invited to design, has been planning for this replica. It had to cooperate with Wuchang Shipyard, the builder of the replica, to meet the challenges of turning the design into full-scale replica. This construction of replica started in April and is expected to finish by August next year. But the official did not give the definite time of opening to public.